The Liberty 8-5/6 in. 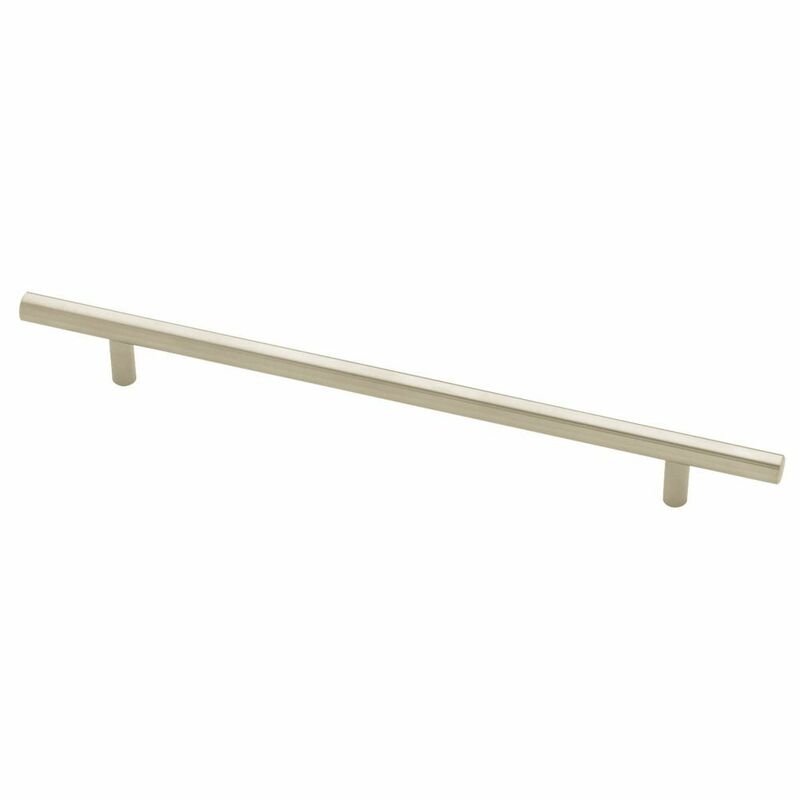 Stainless-Steel Bar Pull is suitable for use on your home's cabinets. This bar pull features a contemporary style and is made from steel. Rear mount installation. 224/304mm Flat End Bar Pull The Liberty 8-5/6 in. Stainless-Steel Bar Pull is suitable for use on your home's cabinets. This bar pull features a contemporary style and is made from steel. Rear mount installation. 224/304mm Flat End Bar Pull is rated 4.8 out of 5 by 8. Rated 4 out of 5 by DL from These drawer pulls have a good solid build. The only... These drawer pulls have a good solid build. The only issue I've had is with a tendency toward cross-threading on several of them. Rated 5 out of 5 by Leah from These cabinet pulls are a great product! They are heavy duty, solid and worth the money. They loo... These cabinet pulls are a great product! They are heavy duty, solid and worth the money. They look gorgeous on my new cabinets and I give them a 5 star! If you want quality these are the pulls for you! Rated 4 out of 5 by JA from just installed the bar pulls on my kitchen cabinets, looks great & outstanding on dark brown cabi... just installed the bar pulls on my kitchen cabinets, looks great & outstanding on dark brown cabinets. Rated 5 out of 5 by westk18858 from Exactly what I wanted Look great on my new kitchen island! I was happy there was a broad selection online. Rated 5 out of 5 by Handyboy1 from Just as I expected The pulls were solid, well designed and just as I expected.